No other rapper has captured the hearts of rappers and rap fans quite like gangsta and conscious rapper Tupac “2pac” Shakur has. A legend in the truest sense of the word, he’s become almost more myth than reality since his death, and he left a lingering imprint that changed the very nature of rap music and culture. He donned an eclectic collection of job titles during his career, many of which seemed to contradict each other: Tupac was a rapper, ballet dancer, activist, philosopher, actor, and poet. In fact, contradictions seemed to be 2pac’s game: he was tough and was the epitome of the “thug life,” but he was also vulnerable and extremely emotional. In the same vein, he had extremely misogynistic lyrics on some tracks, but lyrics that were empathetic and respectful of women on others. Tupac was born into a family of Black Panthers, and he inherited their political activism, including their violence is acceptable when necessary attitude, writing numerous songs about topics like systemic racism and police brutality. In fact, Tupac was known best for being an advocate for the low-income, gang-violence riddled neighborhoods he grew up in. He understood that illegal activity was often necessary for survival and used his own “thug” roots to make his persona relatable, but he simultaneously comprehended the transience of such a lifestyle. Tupac's death in 1996 (at the young age of 25) seemed to be have already been foretold by the rapper himself (like in "Hail Mary"), as he often described a feeling that he would be gunned down, a martyr to the rap game. Tupac was born in Harlem, New York in 1971 as Lesane Parish Crooks, but he moved to Marin City, California (just north of San Francisco) in 1988. 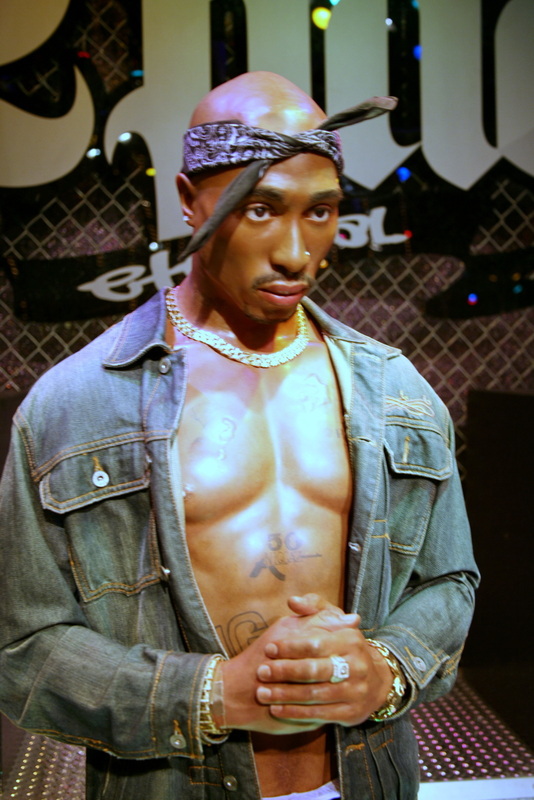 Although he was already 17 by this move, Tupac almost immediately began to adapt to West Coast culture, and he soon became the image of West Coast rap. He began his career as a roadie for Digital Underground and eventually rapped on one of their songs. From there he released his first album, 2Pacalypse Now, which received relatively little success, but still launched his career as an independent rapper. Tupac went on to release five studio albums (along with five posthumous studio albums) and 44 singles. Five of his albums topped the Billboard 200 chart, and 20 of his singles ended up on the Billboard Hot 100 chart. Tupac has been nominated for seven Grammy awards although he has failed to win any of them, but he has won one American Music Award in his extremely short career. Tupac’s career only lasted from 1991 to 1995 due to his death, but his posthumous presence—one that includes a holographic concert at the 2012 Coachella Valley Music & Arts Festival—is a testament to his powerful legacy that still influences rappers and the world today.